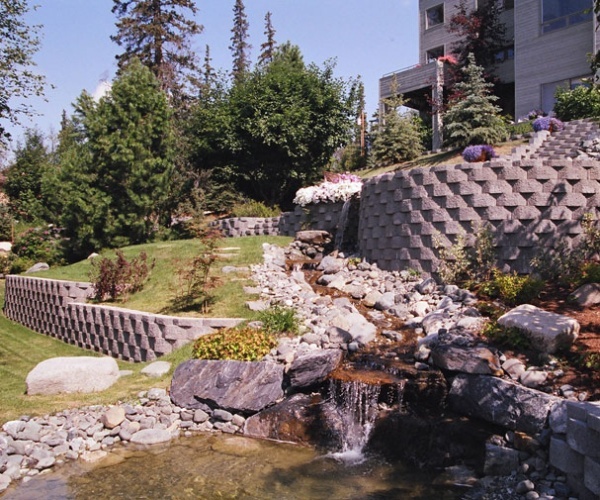 Green Acres has become an Alaska authority in the field of aquascaping, as we’ve been designing and building water features in Alaska since 2003. Our experienced designers and crews have attended national aquascape training classes and conventions, and guest lectured on water features at garden conferences. Our experience and training give us a broad palette to draw from. We are well-qualified to help you decide what type and size of water feature is right for your space and lifestyle, and we can create a landscape that reflects your personal needs and desires. We take a custom approach to design, assuring your satisfaction with the finished product. We’ve had clients that wanted to observe waterfalls from a deck, or view a shimmering pond others from the kitchen window. We’ve even created landscapes to help homeowners become Backyard Habitat Certified by the National Wildlife Federation. Imagine the soft, cool sound of a babbling stream, the whisper of an elegant waterfall, sunlight playing off the ripples on a pond, birds bathing at the water’s edge, or playful koi darting through the water. You can experience this in your own backyard. 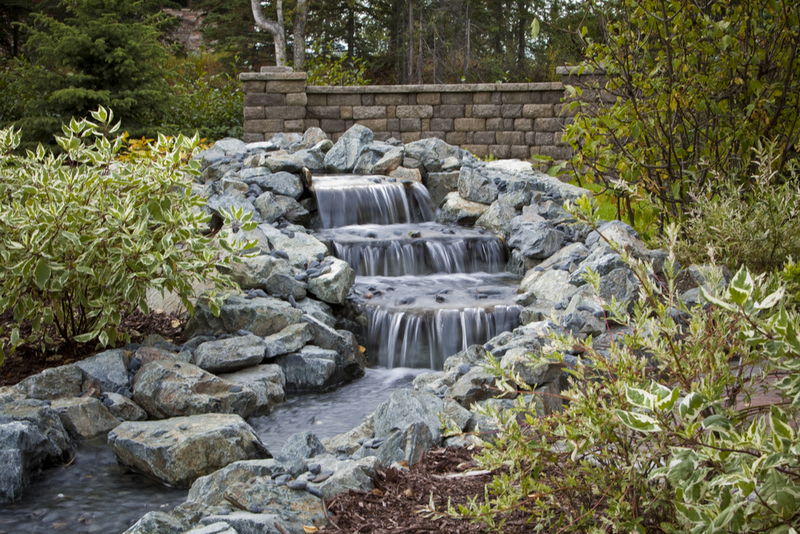 If you want the beauty and sound of a waterfall and stream, but aren’t sure if a pond is right for you, the pondless water feature is the perfect option. It is a no-maintenance solution to water gardening and can be a great choice for small spaces. This type of feature includes a waterfall and stream, but instead of flowing into a pond the water disappears into a bed of gravel and is then recirculated to the top of the falls. A fountain can be a simple way to add the element of water to your landscape. Options range from formal multi-tiered fountains to a simple bubbler hidden in a landscape bed.